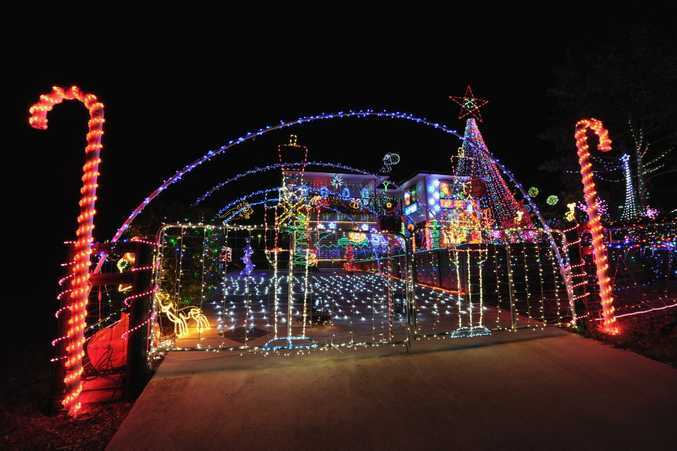 Fraser Coast Best Christmas Lights: Take a look at the winning display in the Light Up The City competition. JULIE Carlton's Christmas light display stands out, but for different reasons than her River Heads neighbour. 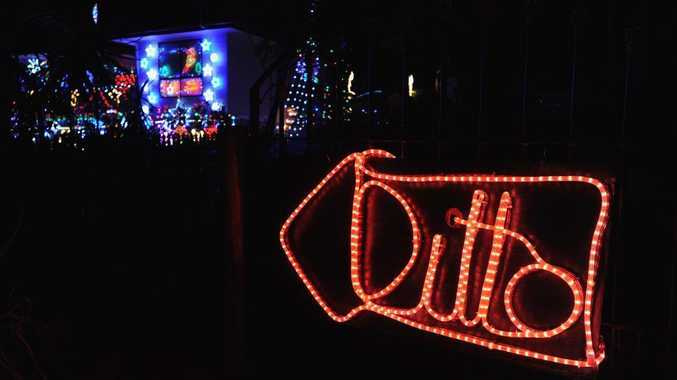 While her Turnstone Boulevard neighbour Sonya Sorensen used thousands of lights, numerous props and a sea of colours, Ms Carlton delivered the same message with a simple five letter word: ditto. Sharing number 45 with Peter and Brenda Bowman, Ms Carlton admitted the red-neon display was not the trio's only contribution to spreading the festive cheer. She said they actually helped put together the colourful offering in number 47 and her lights were about offering an alternative. "Everyone comments on it, it's quite amazing actually everyone laughs at the ditto sign," Ms Carlton said. The neighbours spend evenings in the yard, eating dinner, greeting visitors and appreciating the colourful and the humorous displays together.